Apartment in Recoleta, Buenos Aires - Mini Mia ! 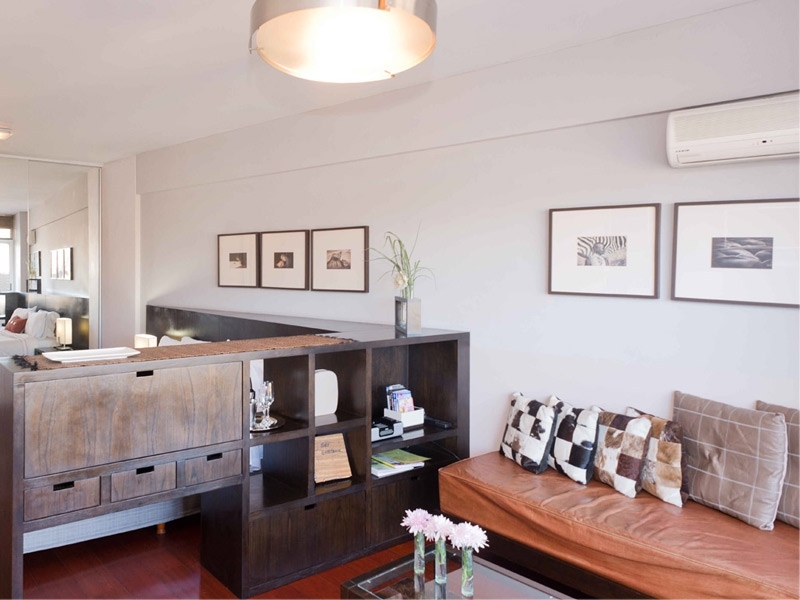 Bijou 380 square feet studio apartment in great Recoleta location with cityscape views and rooftop pool. 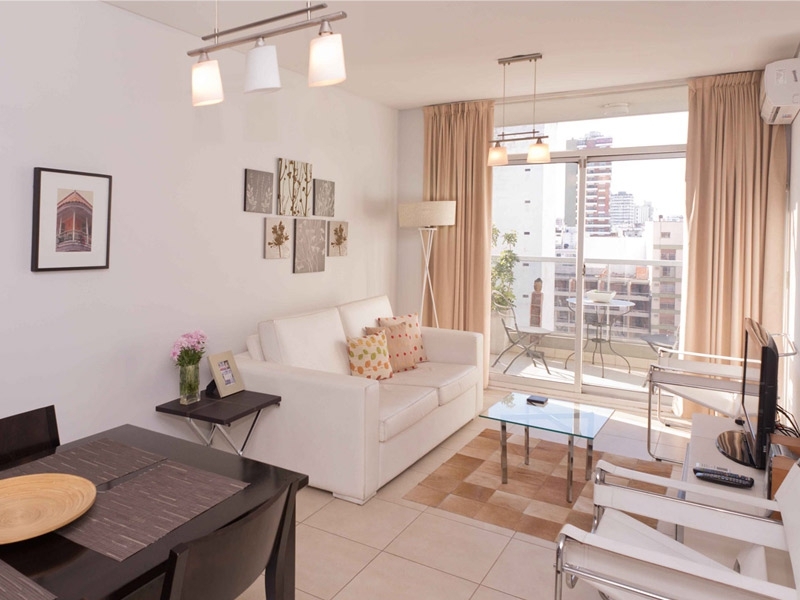 This studio apartment for rent in Buenos Aires is housed on the upper floor of a high end building, only a few blocks away from the cemetery and its neighboring bars and restaurants. A perfect base in the city from which to explore the surrounding neighborhood and its adjoining barrios. The apartment is tastefully furnished and makes the best of its studio space. The galley style kitchen boasts marble counter tops and comes fully equipped with modern appliances. The living area is both light and airy and the panoramic windows afford great views, complete with Cable TV and Wi-Fi, this may be a studio, but it feels like a one bed apartment. The bathroom is located just off the living area and is finished to a high standard. The building has a rooftop pool, terrace and benefits from 24 hour security. Ideal for either a single traveller or a couple, it represents great value for money when compared to a cramped and restrictive hotel room. Its central Recoleta location being a definite plus point.